Hello, dear friends! 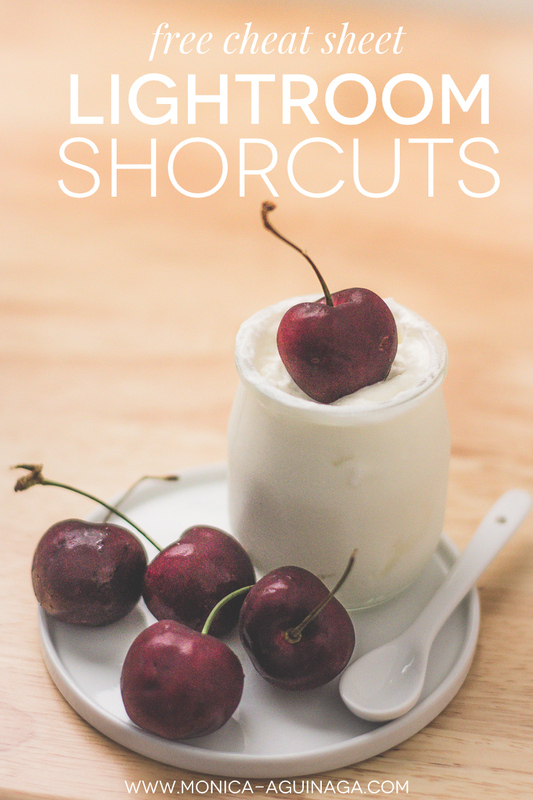 Today, I bring to you a quick guide to get started on using shortcuts in Lightroom. Perhaps you've been using Lightroom for a while and haven't gotten in the habit of using shortcuts. Or maybe you're new to Lightroom and want to learn every trick this wonderful program has to offer. Either way, you want to start using shorcuts and I'll explain why. Why use shortcuts in Lightroom? Using shortcuts will cut down your editing time. Your workflow will be smoother. Switching between tools have never been easier. Using shortcuts in Lightroom will cut down your editing time, speed up your workflow and make switching from tools quick and smooth. I've found other shortcut cheat sheets to be overwhelming because they list every possible shortcut and it's nearly impossible to learn all of them at once. So, I made a quick guide on the ones I use the most. You can get started with these ones and once you master these, we will move on to more. Do you love Lightroom? Me too! Every month I sent free presets, tips on Lightroom and shop updates. Sign up to stay in the loop. Thank you! Just confirm your email address and you're in.